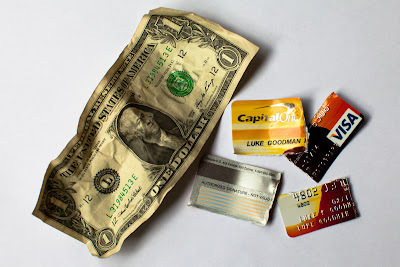 Luke Goodman Cinematography Blog: Fraud Protection and Stolen Credit Card Number. Fraud Protection and Stolen Credit Card Number. Three weeks ago we took a trip to Las Vegas for WPPI, the worlds largest photography convention. Pamela and I had a great time seeing friends, meeting new people, learning from other photographers and most importantly being inspired for the coming wedding season. We are booking up, and very excited to work with all of our new clients! Three days after our trip, some odd charges started showing up on my credit card. I never lost it, and I'm very careful with it online. I am also careful with my passwords for my online accounts. I use a piece of software called 1Password and it's absolutely a life saver. 1Password allows you to store ALL of your passwords, credit cards, and account info in one place, where it is encrypted online and accessible from all of your computers and devices. Have you ever forget one of your passwords? 1Password sets this up perfectly, not to mention you can have it generate very secure passwords along the lines of: "th37fqrtlmp89043ngk." More to the point of this post, I believe someone in Vegas pulled my number, and started using it overseas. Five unauthorized charges showed up in Europe which prompted Capitol One to give me a call. They seem to have a good fraud protection department. They sent me a list of transactions online, which I verified as authorized or not, then closed out my account and sent me a new card. Through this process I learned that by federal law you are only liable for $50 maximum, as long as the charges are reported in time. Many card companies will even cover the $50 (as mine did), and the card user ends up liable for nothing at all. This is the way it should be, as credit card companies make a fortune from their users. My advice? Watch for credit card skimmers (which scan your card as you use an ATM), and keep a close eye on your transactions each week, if not bi-weekly. Use a website like Mint.com, a completely free tracking software that allows you to view all of your accounts at once, such as auto/house/student loans, bank accounts, credit cards and more! oh my gosh! scary!! I had no idea! When the company that I used to use for my credit card processing services for my store kept raising the fees that they were charging me for the services I thought that it was time to look for another service.